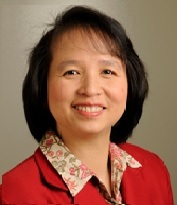 Dr.Lin, Huey-Jen L., Ph.D. is the Chairperson and Associate Professor in Department of Medical Laboratory Sciences from University of Delaware, Newark.She is also the Associate Professor (Tenured Faculty) Medical Technology Division, School of Allied Medical Professions and Molecular Biology and Cancer Genetics Program, Comprehensive Cancer Center,College of Medicine,The Ohio State University, Columbus, Ohio. She is Specialist in Molecular Diagnosis: National Credentialing Agency for Laboratory Personnel. CLSpMB(NCA)and MedicalTechnologist(generalist):American Society for Clinical Pathology. MT(ASCP).She received several honors and she is the member of American Association of Cancer Research (AACR) Woman in Cancer Research (WICR) American Society of Clinical Laboratory Sciences (ASCLS). American Society of Clinical Pathology (ASCP). My laboratory is mainly interested in examining how epigenetically silenced tumor suppressor genes influence tumor initiation, progression, and metastasis in breast and pancreatic cancers. 1. Wang F-F, Wang Y-J, Lee H-J, Fong J-C. Identification of erythropoietin receptors of erythroleukemic cells. Biochemistry International 18:163-171 (1989). 2. Lin H-J, Upson RH, Simmons DT. Nonspecific DNA binding activity of simian virus 40 large T antigen: evidence for the cooperation of two regions for full activity. Journal of Virology 66:5443-5452 (1992). 3. Lin H-J., Eviner V., Prendergast GC., White E. Activated H-ras rescues E1A-induced apoptosis and cooperates with E1A to overcome p53-dependent growth arrest. Mol Cell Biol. 15:4536-4544 (1995). PMID: 7623844. 4. Page C, Lin H-J*, Jing Y, Castle VP, Nuñez G, Lin J. Overexpression of Akt/AKT can modulate chemotherapy-induced apoptosis. Anticancer Research 20:407-16 (2000). *First two authors contributed equally to this work. 5. Lin H-J, Flint SJ. Identification of a cellular repressor of transcription of the adenoviral late Iva2 gene that is unaltered in activity in infected cells. Virology 277:397-410 (2000). 6. Lin H-J, Holman P, Lu J, Finniss S, Dickinson C and Castle VP. Functional activity of chimeric molecules containing a death signal against neuroblastoma. Clinical Cancer Research. 5 (11/99 suppl. #427) (2000). 11. Lin H-J.,* Hsieh FC., Song H., and Lin J. Elevated phosphorylation and activation of PDK-1/AKT pathway in human breast cancer. British Journal of Cancer (2005) 93:1372-1381. PMID: 16288304 *First and corresponding author. 14. Chan MW., Huang YW., Hartman-Frey C., Kuo C-T., Deatherage D., Qin H., Cheng AS., Yan PS., Davuluri RV., Huang TH., Nephew KP., and Lin H-J. * Aberrant Transforming Growth Factor-beta 1 Signaling and SMAD4 Nuclear Translocation Confer Epigenetic Repression of ADAM19 in Ovarian Cancer. Neoplasia 10:908-919. (2008). PMID: 18714391 *Corresponding author. 15. Lin H-J.,* Zuo T., Lin C-H., Kuo C-T., Liyanarachchi S., Sun S., Shen R., Deatherage DE., Potter D., Asamoto L., Lin S., Yan PS., Cheng A-L., Ostrowski MC., and Huang TH. Breast cancerassociated fibroblasts confer AKT1-mediated epigenetic silencing of Cystatin M in epithelial cells. Cancer Research 68:10257-10266 (2008). PMID: 19074894 *1st and corresponding author. 16. Chan C, Lin H-J, and Lin J. Stress-associated hormone, norepinephrine, increases proliferation and IL-6 levels of human pancreatic duct epithelial cells and can be inhibited by the dietary agent, sulforaphane. International Journal of Oncology 33:415-419 (2008). 19. Huang Y-W., Jansen RA., Fabbri E., Potter D., Liyanarachchi S., Chan MW., Liu JC., Crijns AP., Brown R., Nephew KP., van der Zee AG., Cohn DE., Yan PS., Huang TH., Lin H-J. * Identification of candidate epigenetic biomarkers for ovarian cancer detection. Oncology Reports 22:853-861 (2009). PMID: 19724865 *Corresponding author. 22. Zuo T, Liu TM, Lan X, Weng YI, Shen R, Gu F, Huang YW, Liyanarachchi S, Deatherage DE, Hsu PY, Taslim C, Ramaswamy B, Shapiro CL, Lin H-J., Cheng AS, Jin VX, Huang TH. Epigenetic Silencing Mediated Through Activated PI3K/AKT Signaling in Breast Cancer. Cancer Research 71(5):1752-1762 (2011). PMID: 21216892. 23. Lin L, Liu A, Peng Z, Lin H-J, Li P-K, Li C, and Lin J. STAT3 is necessary for proliferation and survival in colon cancer-initiating cells. Cancer Research 71(23):7226-7237 (2011) PMID: 21900397. (IF: 8.206). 24. Peng Z, Weber JC, Han Z, Shen R, Zhou W, Scott J, Chan M, and Lin H-J. Dichotomy Effects of Akt/PKB signaling in breast cancer. Molecular Cancer 11:61 (2012). 25. Peng Z, Shen R, Li Y, Teng K-Y, and Lin, H-J. Epigenetic Repression of RARRES1 Is Mediated by Methylation of a Critical Proximal Promoter Region Along with a Loss of CTCF Binding (PLoS One. 2012; 7(5): e36891). 26. Lin L, Hutzen B, Lee HF, Peng Z, Wang W, Zhao C, Lin HJ, Sun D, Li PK, Li C, Korkaya H, Wicha MS, Lin J. Evaluation of STAT3 Signaling in ALDH+ and ALDH+/CD44+/CD24- Subpopulations of Breast Cancer Cells. PLoS One. 2013; 8(12): e82821. 1. Alfred S.-L. Cheng, Huey-Jen Lin, and Tim H.-M. Huang. Book Chapter 6: Interrogating Estrogen Receptor a signaling in breast cancer by chromatin immunoprecipitation microArrays. Book Tile: Genomic Endocrinology. Editor: Stuart Handwerger and Bruce J. Aronow. (2008). ISBN: 978-1-58829-651-1. 2. Michael W.Y. Chan1, Zhengang Peng2, 3, Jennifer R. Chao4, Yingwei Li2, 3, and Huey-Jen L. Lin. Methods of Global Epigenomic Profiling. Book Title: Toxicoepigenomics. Editor: Saura C. Sahu, Ph.D.; Publisher: John Wiley and Sons Ltd (in press 2012). 1. Huey-Jen Lin*, Tao Zuo, Jennifer R. Chao, Zhengang Peng, Lisa Asamoto, Sonya Yamashita, and Tim H.-M. Huang. Seed in soil, with an epigenetic view. Biochimica et Biophysica Acta. 1790: 920-924 (2009). *1st and corresponding author. ISSN: 0304-419X.